A MEMBER of staff from renowned North-east firm, Davidsons Specialist Butchers, has continued her successful run by recording a finalist’s place in a prestigious industry award. 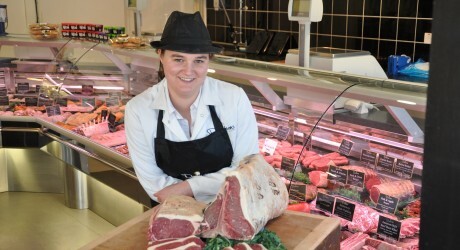 Established in 2004, Davidsons Specialist Butchers is a multi award-winning family business which offers a wide range of high quality, premium specialist butchery produce both in-store and by mail order. It operates from outlets at McCombie’s Court in Aberdeen city centre and Dobbie’s, Aberdeen as well its Inverurie headquarters, and employs 26 people across the three locations. For further information on Davidsons Specialist Butchers, visit www.johndavidsons.com email shop@johndavidsons.com or call (01467) 621212. MEDIA RELEASE issued by Granite PR. You too can post your story ideas for journalists (aka press or media releases), on allmediascotland.com. Email here for more information.